Why you should opt for laser hair removal. We know, we know. Voluntarily sticking a body part under a laser sounds more like torture than a good idea, but what if we told you it was a surefire way to get silky-smooth, hairless skin forever? Laser hair removal is growing in popularity all the time among those sections of the population bored of buying razors. It works by heating up hair follicles to the point where the hair can no longer grow, so – to put it simply – hair stops growing in those spots. Sounds good, doesn’t it. Like most treatments, laser hair removal works better on some skin types than others – the best being those who have light skin and dark hair. If your hair is white or grey, or lighter than your skin colour, you won’t be able to get zapped. Sorry. In more good news, lasers can be used to remove hair across most of the body – usually everywhere except the eyelashes, although some clinics won’t do eyebrows because they’re so close to the eyes (ask your clinic if you’re not sure). 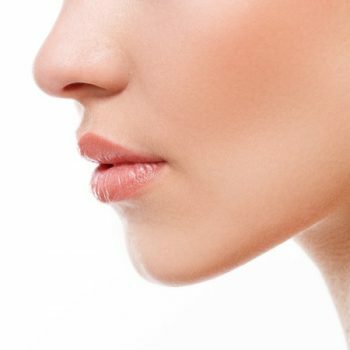 The most popular treatment locations are the upper lip, chin, face, neck, under arms and legs. If you’ve decided this is definitely the treatment for you, a word of warning – no plucking or waxing for a few weeks before your appointment. Shaving, yes, but no yanking hair out at the roots or it won’t grow back in time for your treatment. We should also probably warn you that yes, it will hurt, but it’s really more like mild discomfort than anything else. If you’re worried, ask your treatment provider for some cooling or anaesthetic cream before you start. It usually takes anywhere between 6 and 8 laser sessions to see permanent results, but you can help the process along by scrubbing away partially-dead hairs in the shower between treatments. And hey – totally worth the wait.